While others may be basking in the glory of their success, Fedde Le Grand feeds off of his and continues to churn out tune after tune to satisfy both himself and his fans. Today, he further adds to that catalogue of electrifying records with the massive ‘You Got This’ out now. 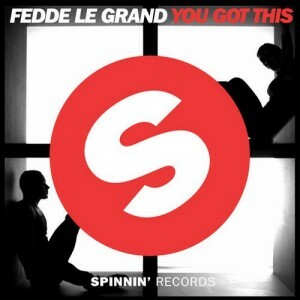 Having had his most recent records ‘Don’t Give Up’ and ‘Love Never Felt So Good (Fedde Le Grand Remix)’ premiered on Danny Howard’s BBC Radio 1, it seemed only natural that ‘You Got This’ should follow suit. First dropping the single to tremendous applause during his electrifying closing set at this year’s Ultra Music Festival, it’s safe to say that Le Grand has once again lived up to the high standards he continues to set for himself. Featuring crisp chopped up old school vocal samples peppered along the percussion undertone, with splashes of high-pitched synths injected into the mix and ultimately leading up to a drop that hits as hard as the punchy bass kicks, ‘You Got This’ has that big-room melody that fans across the globe have grown to love. With Le Grand’s excellent treatment and signature flair, this record is set to commandeer the airwaves for many months to come. Also, paired perfectly with the track comes an eye catching music video filled with sporadic dancing and silhouettes all timed in sync with the beat, ultimately to be effortlessly tied together to create this masterpiece. Already in the midst of another gigantic fan fueled American tour, Fedde Le Grand shows no signs of slowing down as he continues to push the envelope of innovative and fresh sounds. With an extensive cache of new records under his belt, a plethora of gigs across the globe and an international fan base hungry for a taste of Le Grand, it looks set to be yet another vast and exhilarating summer for Fedde Le Grand.